Recently the icecast client library libshout has been updated from 2.3.1 to 2.4.0. The coming version of LadioCast will link the new library. Before that, in order to measure the degree of the impact, I made a beta test version which simply replaced the linked library. People who want to test the beta version, download it from the following link; LadioCast-0.11.3beta.app.zip. I hope you will see normal (or abnormal) behaviors on it. In any case, comments below or e-mails are greatly appreciated. Returned to Mac App Store. This happened because Apple aggregated the developer’s accounts which had been separated into each platform until the first day of WWDC 2015. Though the return to MAS achieved, the donation link above is still there:) for your support of LadioCast in the future updates. Hi kawausoさん! 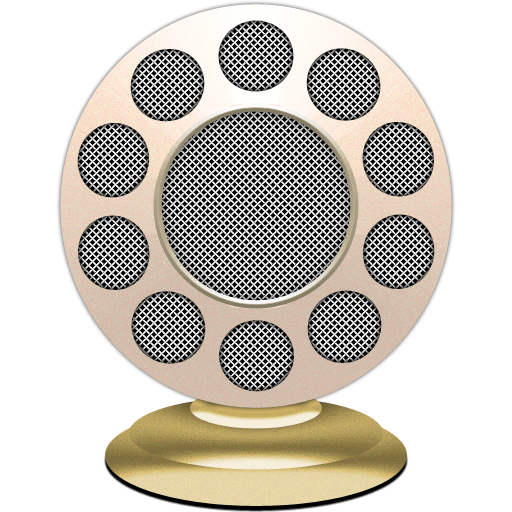 Thanks for making ladiocast free, i’ve used it with both mp3 and ogg and it works great. One small request – I can’t seem to get the “song info” field to update in the stream. Would it be possible to separate that into Artist, Title, Album, Genre fields and have it live update? Congratulations! Is that a yearly fee? Or one-time? LadioCast Version 0.11.1 has been released. Implemented status menu in the menu bar and added items to change volume levels of the selected devices, open mixer and quit LadioCast. Please notice that the sliders control volumes of audio devices which are selected on LadioCast, not its mixer output levels. The device volume levels also have been seen as grey bars on the mixer window and controllable by speaker buttons. The functionality is basically same but by the sliders on that status menu. 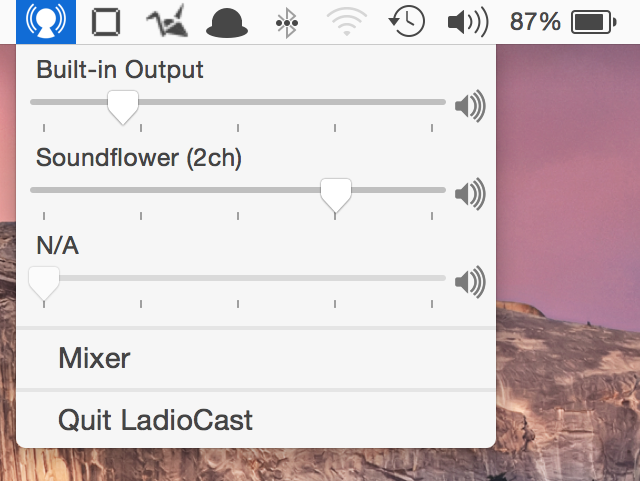 Hopefully it will be convenient for the people using LadioCast as an ordinarily audio router on their Macs. As always, let me know any problems and suggestions by blog comments or e-mails. This version will stay unreleased to the MAS for them. Great app! Please add HE-AACv2 Parametric Stereo as an option in the encoder section. Thank you! Thank you for your suggestion about LadioCast. For encoding in HE-AAC, it uses Apple core audio component. I also have been waiting but it seems that Apple hasn’t implemented v2 yet. If done, I will add it soon:-).